James Winston Henry Carter (what are you sniggering at?) is a poet and guitarist. At the age of 8, James played biscuit tin drums in his first and short-lived band The Electric Spiders. Sadly, the band broke up after only one morning because his best friend’s mum wanted her drumsticks – well, knives and forks – back. Several years later, James played guitar in his first school band, Villain, but they were booed off at their first concert during their first song! Mmmm…what else? James now lives in Oxfordshire with his four guitars (all called Keith), three ukuleles (all called Keith), two terrific daughters (not called Keith) and their two pets (the-cat-that-drinks-the-bathwater, Dylan, and the-cat-that-eats-slugs, Hollie) and not to forget his one wonderful wife (not called Keith). Every time he visits a school, children ask Where do you get your ideas from? – to which he replies that he gets his ideas from the magic wood at the back of his house. Seriously though, James believes there is a magic wood – your imagination – which takes things from your life, things you’ve done, seen, daydreamed, remembered – and turns these into poems. Of the poems in his latest collection Journey To The Centre Of My Brain, Gorilla Gazing began when a gorilla at London Zoo stared at him. Simply Starlight was inspired by a Christmas episode of Doctor Who. James’ favourite animals are those mystical creatures wolves, and he finally got to write about them in The Wolf Outside. James also has a thing about the moon, and once wondered to himself, If the moon could speak, what would it say? 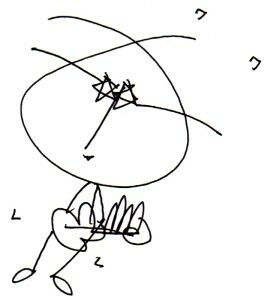 and then wrote the poem The Moon Speaks! Both I’m The Boss Of The Universe and The Trespasser are true stories. Catching an idea when it comes, James believes, is essential. This is why he has an envelope in his pocket at all times – and because he heard that Paul McCartney wrote the lyrics to Hey Jude on the back of an old envelope. Always listening to music, James’ particular faves include The Beatles, Tom Waits, Nina Simone, Stevie Wonder and The Decemberists. James feels that songs are like little poems wrapped up in music. Reading (not Reading!) is something that he has always been mad about. As a boy he loved comics and TinTin books. James visits his local library at least three times a week to get his weekly pile of poetry books, novels and picture books. James is and always has been a word nerd – and believes that as a writer, poems are the most fun you can have with words. Trains are where he does most of his writing. James visits Primary schools all over the UK, so catches many trains. If you see someone sat on a train writing a poem on an envelope, that could – just could – be him. Electric guitars, acoustic guitars, guitars of all kinds, have been a lifelong passion. James takes his guitar with him to play during his poetry performances. He likes doing this a) because it’s great fun and b) it frightens the teachers a bit. He encourages children to bring along their air guitars and join in. Reading (not reading!) is where James was born on November 27, 1959. He can’t remember a single thing about it. in the old moonlight? Or maybe have a conker fight? 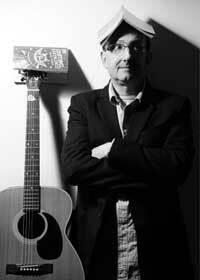 James Carter is an award-winning children’s poet and guitarist. In the last twelve years he has visited over 1000 schools in the UK and abroad to give lively poetry performances, workshops, G&T days and INSET sessions. His latest collections are Journey To The Centre Of My Brain. (Macmillan) and Hey, Little Bug! (Frances Lincoln). 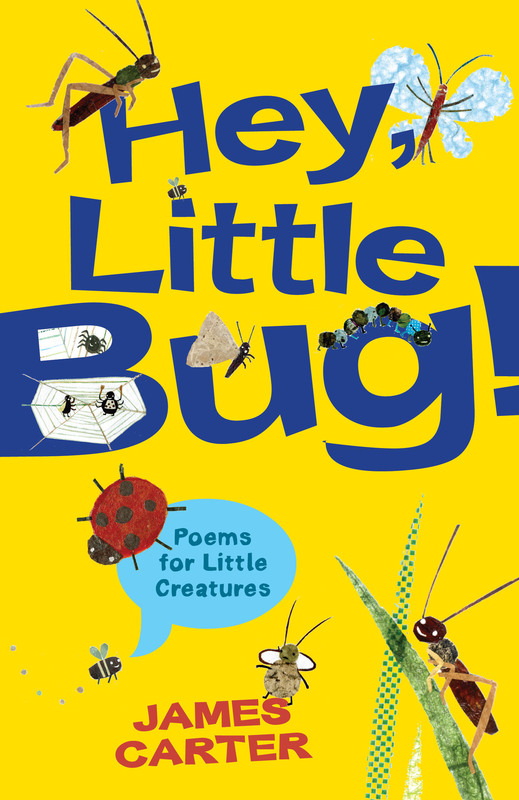 His popular creative writing books for teachers include Let’s Do Poetry In Primary Schools! (Bloomsbury) and Just Imagine (Routledge).